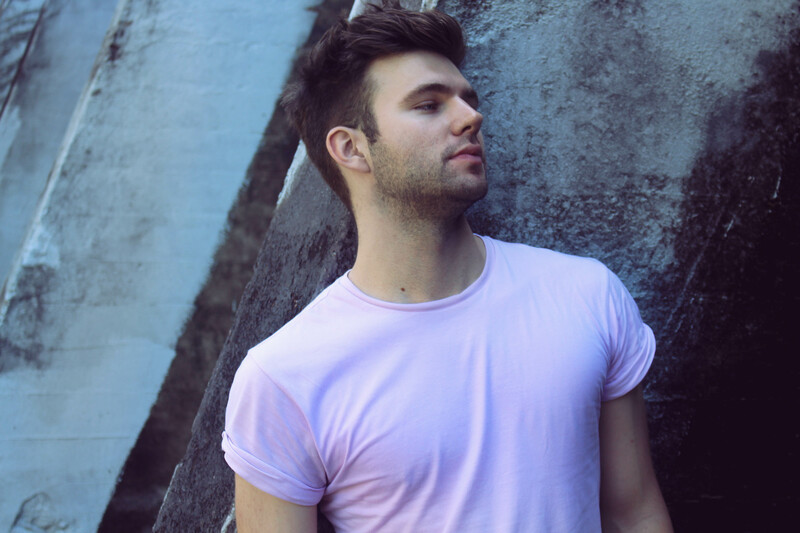 We get to know Nick Summerfield, an artist out of Sydney who’s just dropped his “super personal” new single ‘Shelter’. He name checks Oh Land, Gaga and Amber Run among his list of inspiring artists and his first ever album was by a band who had their 15 minutes of fame back in the early 2000s. Find out who as we get to know Nick Summerfield! 01. Name : Nick Summerfield. 03. How did you get your start in music? I started music quite late in comparison to most other artists and musicians. I started teaching myself the piano at the age of 15, then began singing at 16 and wrote my first song at 17. My brothers and I were very athletic growing up, and we didn’t have any musicians in the family. 04. Give us five words to best describe you as an artist. Metaphoric, Personal, Dark (sometimes), I can be quite theatrical. 05. Tell us a little bit about your sound and how it developed. I spent quite a long time with SZABO as we chipped away at who I was and worked out where I was headed as an artist. He’s been a big influence as we’ve worked together for years. He helped translate what I’d hear in my head. Though my sound will still continue to develop and grow as I do, which I feel is very natural. I’m very interested in electronic, ambient and dark sounds. Shelter is the closest to ‘me’ I’ve ever felt as an artist, it’s definitely a stepping stone. I hope with some more releases this year I can continue to develop that further. 06. What’s your earliest musical memory? The first time I actually played a piano at 15. Sometimes I wonder what kind of artist I’d be if I was influenced from diapers, but then at the same time that wasn’t meant to be my experience. 07. Who have been your musical influences? There’s a few, it depends on how I’m feeling. Some would be Lorde, Lady Gaga, Amber Run, Oh Land, Disney. But I really want to set some time to explore music from past decades. 08. What are your favourite songs of all time? If I had to name three… ‘I Found’ by Amber Run is AH-MAZING, ‘Nature Boy’ by Nat King Cole is beautiful, Probably any Disney song – although ‘Colours Of The Wind’ takes the win just slightly. 09. Where’s your favourite place to listen to music? When I’m either in the shower or cleaning. 10. Who are your go-to artists when you’re feeling : Happy? Most pop / EDM. I like the charge. Sad? Amber Run, The Lion King. Introspective? I’d put on a ‘Chill’ playlist on Spotify and just zone out. Exhausted? I’d meditate. 11. What was the first album you ever bought? I believe it was T.A.T.U. I have Russian / Polish heritage so I was OBSESSED with them. 12. Give us a little fun fact about yourself that people might not know. I dropped out of school at 17 and became a pastry chef! 13. What would your chosen career be if music wasn’t an option? I wanted to be many things growing up. I’ve always been quite ambitious. I grew up very athletic, and I wanted to be an Olympic gymnast, or a writer as I enjoyed writing stories. 14. What’s the best advice you’ve been given in your career? It hasn’t necessarily been one piece of advice, but more the time spent with some amazing musicians and artists. A big influence over the past few years has been my vocal teacher, Diana Rouvas. She has taught me so much about just accepting my voice, because that’s been one of my biggest personal battles. 15. If you could trade places with any artist in the world right now, who would it be? Oh s***, umm… I really don’t know. I’d probably say Sia because she’s such an amazing song writer and I admire her so much. 16. Tell us about your latest release. ‘Shelter’ is super personal. It actually took two years to complete and release. I wrote it during the ending of a relationship in Jan 2016. I wasn’t happy in many aspects of my life, but I was the only one who could change that. Let me tell you for free… change was knocking and I had to answer. Through that process of change you REALLY have to look at yourself and ask… do I like who I am? Am I worth it? And that’s where; “So mirror show me where I bleed, show me that I’m worth mending”. Sums it all up. Through ‘Shelter’ I’ve learnt it’s important to always honour yourself and how you feel. Change isn’t really the scary part, it’s not knowing. 17. What do your future plans involve? There are SO many plans. My problem is I always take on too much. I’ve spent a lot of time focusing working full time, and I get lost in that – but someone has to pay the bills! So this year I want to focus on releasing music and making content / get better at social media-ing (that’s a verb, right?). I’m TERRIBLE with socials. I’d love to and really want to start an EP, so fingers crossed. 18. Where can our audience catch you live? Well I’m currently looking at locking some gigs in, but I’m also looking to start gigging more – so if you know of any *wink… So best way to stay up to date would be Facebook! TWITTER : http://www.twitter.com/nicksummerfield (although I still don’t this bloody bird). SOUNDCLOUD : http://www.soundcloud.com/nicksummerfield – but I don’t use it.